When most people think of asbestos, thoughts of a dangerous and hazardous material come to mind. What you might not realise is that more than 50% of British homes contain asbestos, and if your property was built before the year 2000, it is likely that asbestos is present. Fortunately, asbestos at home is not always a concern, as it was most commonly used with other materials, known as asbestos containing materials (ACMs). ACMs come in many different forms, and were used for everything from boiler flues to vinyl floor tiles. The reason asbestos was added to so many materials (more than 3,000) is because of the great properties it contains, such as high heat and chemical resistance. Unfortunately, during most of its widespread use, there was little knowledge or understanding of the dangers related to asbestos. If you have asbestos containing materials in your property, chances are that it will not pose any danger to you and your family. ACMs become dangerous when they are damaged, and the fibres are released into the air. 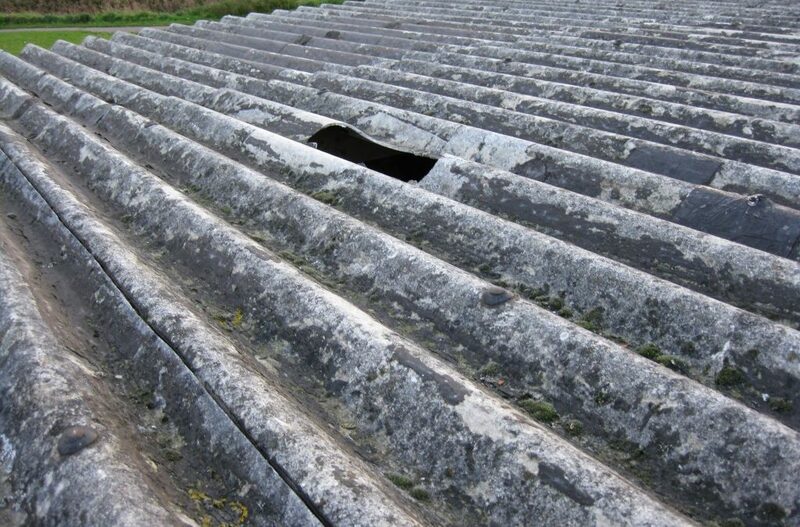 Inhaling and ingesting asbestos can cause numerous asbestos related diseases. Asbestos containing materials do not always need to be removed, as they can also be encapsulated, which encases the ACM and prevents the dangerous fibres from escaping. The main diseases associated with asbestos are mesothelioma, asbestosis, asbestos-related lung cancer and pleural thickening. Many asbestos related diseases have high mortality rates, and many symptoms are difficult to diagnose early. As asbestos fibres are dangerous, it is advisable that you contact a professional and licensed asbestos contractor if asbestos containing materials in your property are damaged or start to decay. Below is our infographic on asbestos in the home. It details some of the essentials that you need to know, but for more information, please visit our asbestos in the home page.